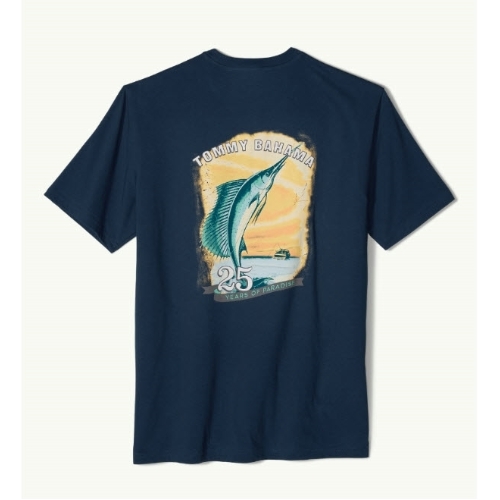 Specially created for Tommy Bahama's silver anniversary, this short-sleeve cotton T-shirt features a colorful Marlin artwork that commemorates 25 years of living the island life. 100% cotton. Machine wash cold, tumble dry low. Do not dry clean. Imported.